I’ve written about this subject before, but I was taken back to it recently. You know our favourite movies – maybe The Lord of the Rings trilogy, maybe Gladiator, maybe Inception, maybe Star Wars, maybe Pride & Prejudice, and there are a host of others. One of the special things about these movies are the soundtracks, the music, the songs. Memorable, stirring music that invites us into the story. We are outside that narrative story, but something makes me want to jump through the screen and join Frodo and Samwise when particular songs start playing (like when the fellowship first leaves Rivendell). Books are great, but movies have their own specialness because of the music. Matter of fact, how many of us have bought a soundtrack to a movie? I have, even if most of the songs don’t have words. I love listening to the soundtrack we have for The Lion, the Witch and the Wardrobe. So sitting in an airport a couple of days ago, I popped in my white iPod earphones, turned on a particular track, and just sat there working on my laptop. Every so often, I’d lift my eyes, look around, and notice specific people. I very much like to observe, and observe detail at that. So be scared if you meet me (ok, not really). As a song was playing, it was some kind of worship song that had been stirring my heart recently, I looked up at one point and it almost seemed as if the people were walking to the beat and tune of the song. And that’s kind of what happens in movies, even if they have to slow down the scene to fit the song. And in that airport, it was as if a real live movie was happening before my eyes. This time I wasn’t kept out by some screen. I was there in it. So, I’m thinking what if life had a soundtrack to it all the time – would we be able to live better lives? You know, hit a hard, difficult time and all of a sudden the theme song of The Lord of the Rings pops on. In that moment, you find yourself invigorated with new possibility in God. ‘I can make it,’ you say to yourself. And a team (fellowship) surrounds you as you head out to face life. Sometimes I have a deeper experience in my devotional time with God because I play some music. It happened a few week’s back where I decided to play one song over and over for a good 45 minutes. Because of the moving worship song, I broke down weeping 2 or 3 times. That doesn’t usually happen shen simply sitting with my Bible open. It shows us the power of music. Nope, I am not getting on some horse that then argues we should guard against some of the ‘worldly’ music we listen to. For me, that is a given in a life of discipleship with Christ (though we might still be careful what detailed ‘rules’ we suggest to others). All I am noting is that I do wish life had a soundtrack to it. And maybe, after thinking about it now, you would agree and want such as well. 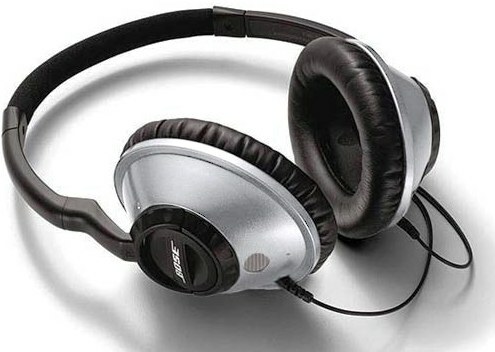 But reality seems to suggest that such is not possible (well, unless you walked around everywhere with headphones stuck in your ears, or those newer giant ones like in the picture above). When I am being tempted, when I am wanting to pack up and leave Belgium because I just don’t think I can do this any longer, when I am at my wits end on how to be the husband or father or pastor Jesus has called me to be, no music seems to rise out of the background to spur me on. It’s silent, except for the questions in my head and cries in my heart. It takes a little more strength, a strength centred in the power of Christ and his Spirit, a strength stirred by the people of God surrounding you, both the past and current cloud of witnesses. And for me, I recognise my incredible need for the current body of Christ, as I know I need people with flesh on now. I just wonder if the songs and music would spur us on more, or if we would still give in as easily? Or maybe at first we would make it, but after a time, we would start making excuses. We are good with excuses, aren’t we? Hey, maybe there is a soundtrack to life! But why don’t we always hear the Father’s song? I’m not sure I’ve heard His song too much. I suppose the song of the Father can be heard a little more easily when we are more attentive to Him. But my ears and eyes are not so diligent. It’s the excuses that get in the way. I also suspect, as well, that the Father’s song is so multi-varied in its composition and words, considering the multi-varied people of God. He is pretty creative. I do wish I heard the music more. I do wish my ears could catch the song(s) from heaven a bit more. And I don’t even think the song has to be so ‘ethereal’, like a piano with a sustained-pad added in the background. Remember, Zeph 3:17 says that God is a mighty warrior who saves/delivers. I reckon the songs are not always soothing, but sometimes powerfully stirring. After pondering these things, I am tempted to put my white earphones in a bit more, so I can have those stirring moments like I had in that airport or sitting in my office listening to the same song over and over for 45 minutes. And there is nothing wrong with that. God certainly uses songs written here in our world, for they only emulate the great Musician. But I know life has some kind of soundtrack – to heal, to restore, to invigorate, to empower. And I want to pique my ears just a bit more to see if I can catch it, even if my iPod is turned off. Those movie characters shouldn’t get that privilege over us, should they? This entry was tagged devotional, life, music. Bookmark the permalink.